A bold, striking elevation with a dramatic black and white contrast, emphasising the geometric lines of the building. This colour palette continues inside, furthering the connection between the exterior and interior spaces. 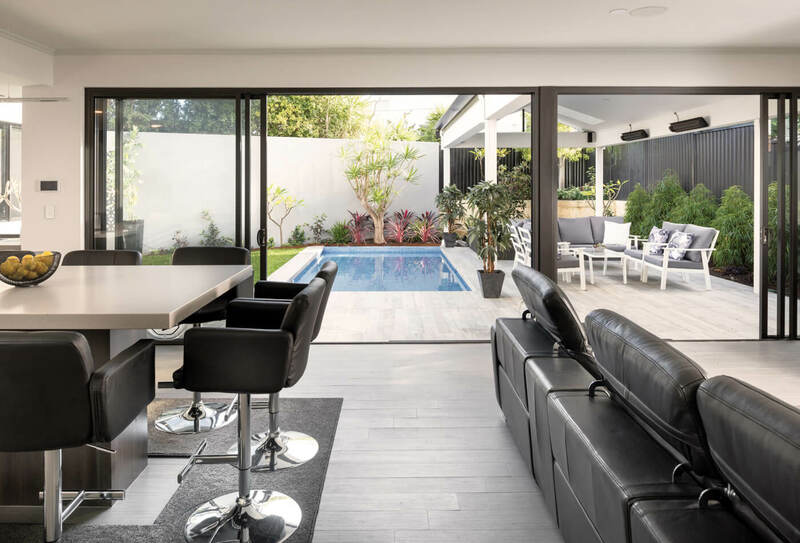 Natural light was also an important feature of the design, with many key spaces such as the alfresco area, kitchen and home office positioned on the north-facing aspect to capitalise on Perth’s sunshine. 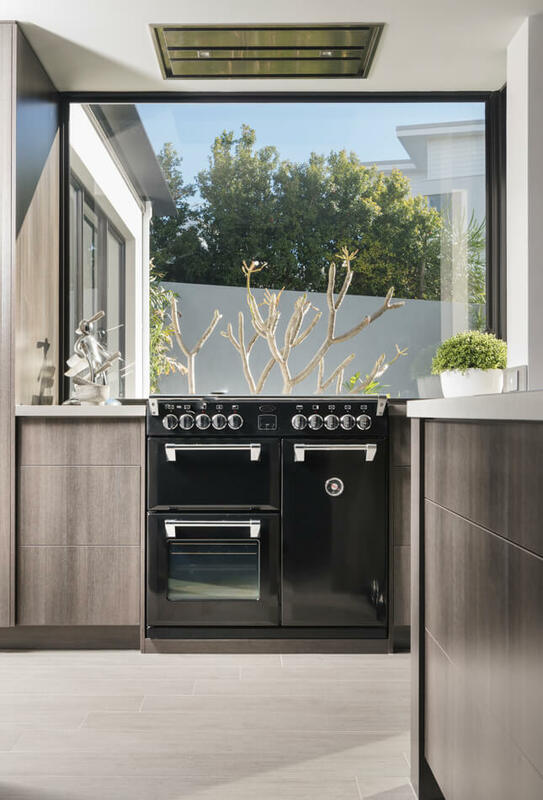 The picture window behind the gourmet oven allows uninterrupted views of the north-facing backyard, with the vibrant greens of the foliage contrasting against the monochrome interior. 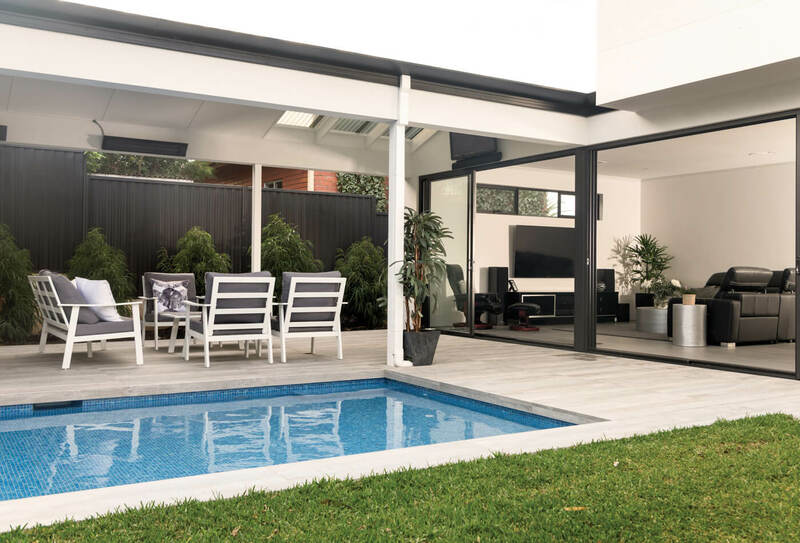 Large feature stacking doors open out to the covered alfresco area and allow in plentiful northern light. Skywells also enable light to enter the space, creating a bright and open interior. 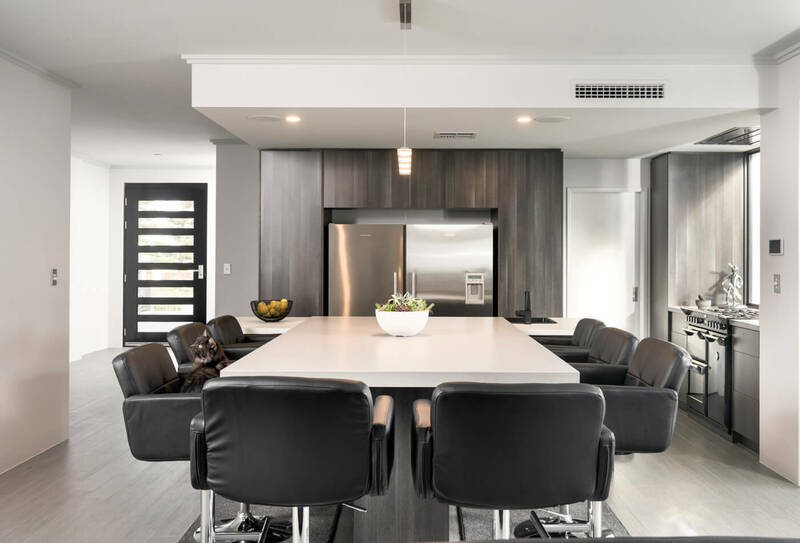 Desiring a simple and modern interior, the owners decided against having a formal dining area, instead choosing a custom-built table that is seamlessly integrated into the kitchen bench. 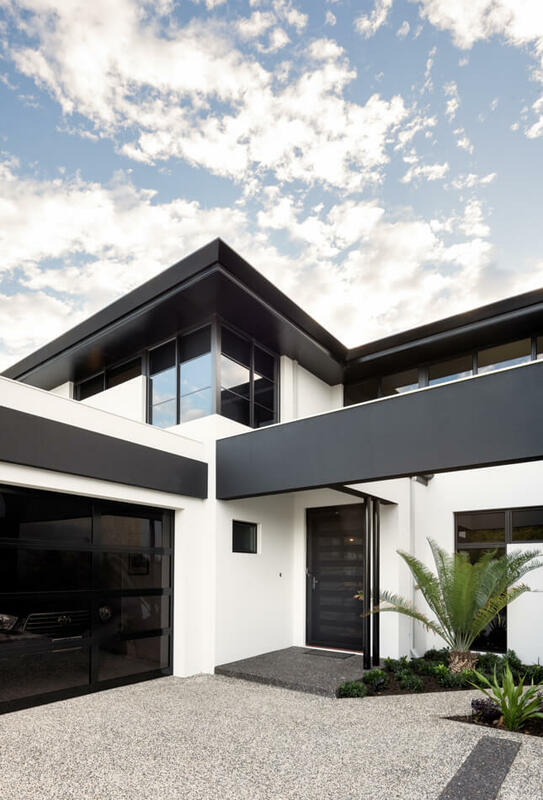 A bold, striking elevation with a high contrast colour scheme.